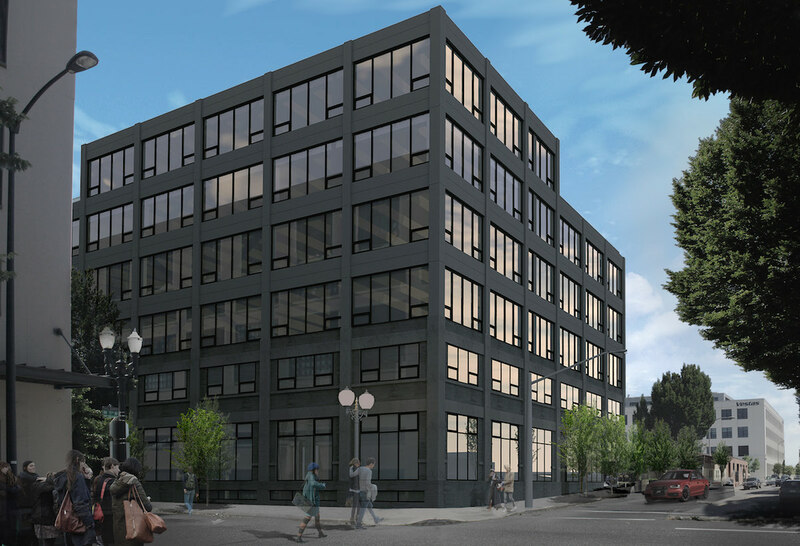 The Design Commission has approved 1440 Hoyt, a major expansion and remodel of the former Premier Press building in the Pearl District. The project by Holst Architecture for Meriwether Partners will add four floors of heavy timber framed office space to an existing two story warehouse building, and convert an existing single story building to an office or retail use. 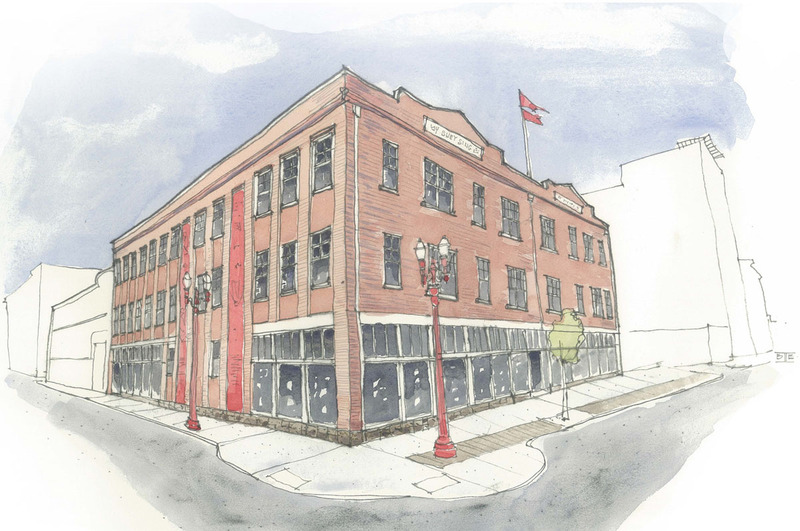 The adaptive reuse project will create 75,000 sq ft of Class A office space and offer 125 bike parking spaces. Roof decks at the 2nd and 6th levels will be provided for the use of office tenants. 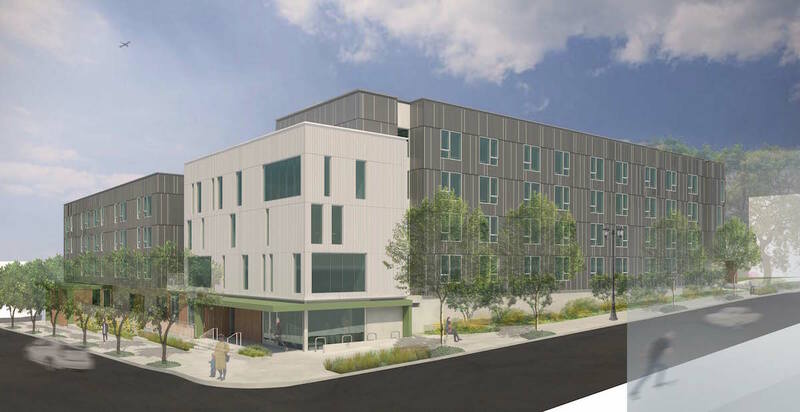 A Pre-Application Conference has been scheduled to discuss a proposed apartment building at NE 20th and Hoyt. The 6 story building by C2K Architecture would include 54 residential units. 18 parking spaces would be provided in a tuck under garage. An 884 sq ft retail space would be located at the ground floor. The Lloyd Cinemas redevelopment has returned in front of the Design Commission for a second Design Advice Request hearing. 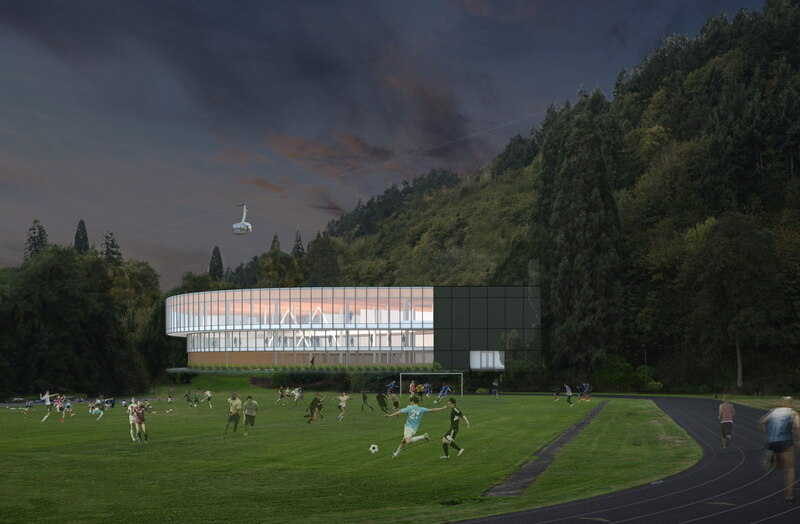 The project by Holst Architecture and 2.ink Studio is now proposed to be developed in two phases. The first phase on the western portion of the site would include 680 residential units and 650 parking spaces. A future second phase would include a high rise tower, and a total of 570 residential units and 440 parking spaces. 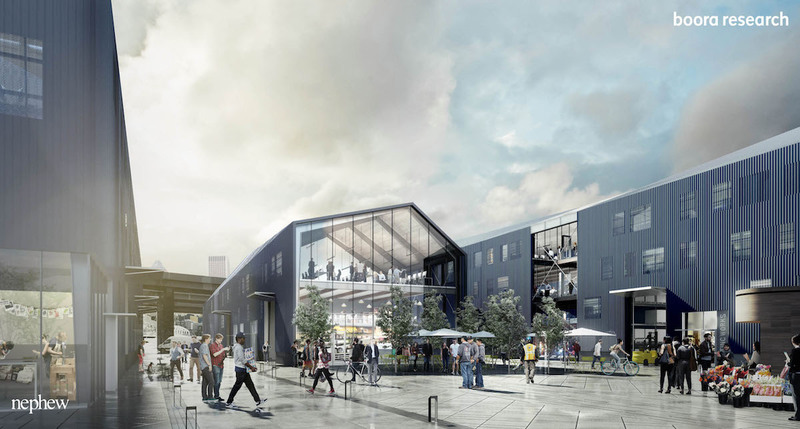 Both phases would include active uses at the ground level, including restaurants, retail, maker space, micro restaurant and residential amenity spaces. New five story creative office bldg with retail/restaurant space on ground floor. Multi-story urban self-service storage building with ground floor commercial space. New single story retail building with 45 parking stalls on existing vacant pad. Expanison of Marriot Hotel. 4 story adition above the existing parking garage to connect to existing hotel. 127 additional rooms. Proposal is for mixed use development with retail space on grd floor, a row of townhomes and at-grade double height car parking with stacking semi-automated parking system. 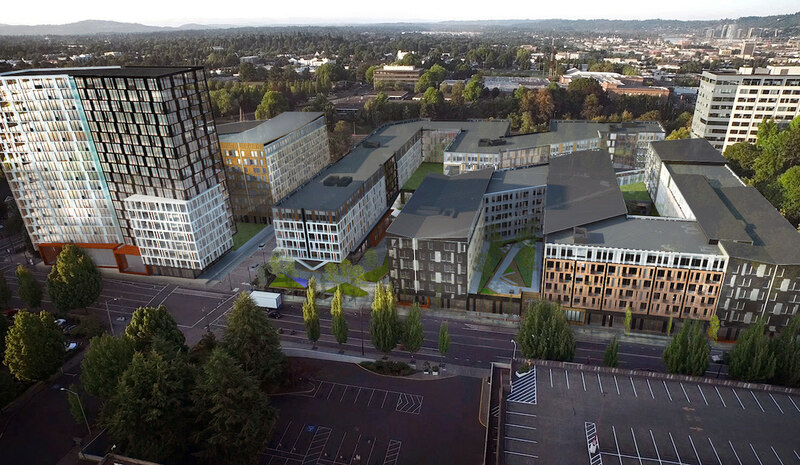 Proposal is for 12 story timber framed bldg which will consist of one level of grd floor retail and five levels of office, five levels of workforce housing and a rooftop amenity space. Constructin of a new 5 story market rate housing project with one level of sub-grade parking. See comments in file EA 15-226895 appt. New apartment building consisting of 30 dwelling units. Total of three stories above grade with one below. Requesting a design modification to required setbacks. Partial change of occupancy from S-1 to B on 2nd and 3rd floor. Seismic upgrade. Extensive interior demolition and new walls on levels 1-3, new storefront. New stairs and elevator. Boora Architects have developed a speculative concept for the ODOT Blocks, which they have dubbed the Water Avenue Yards. Their vision would see the currently vacant site redeveloped with flexible spaces that could be used various kinds of production. Demolition began on a fourplex house at 3423 SE Hawthorne Blvd, which will be replaced by a five story 30 unit apartment building. As a squatter tied himself to the roof to protest the demolition, a crowd of fifty people and one goat gathered to watch. Pretentious PDX interviewed Jonathan Cohen and Matt Seigel of the Society Hotel, the Old Town hotel which is getting ready to open on November 5th. Eater PDX covered the possible closure of the Lotus Cardroom, which would be replaced by a new hotel and office building at 930 SW 3rd Ave. 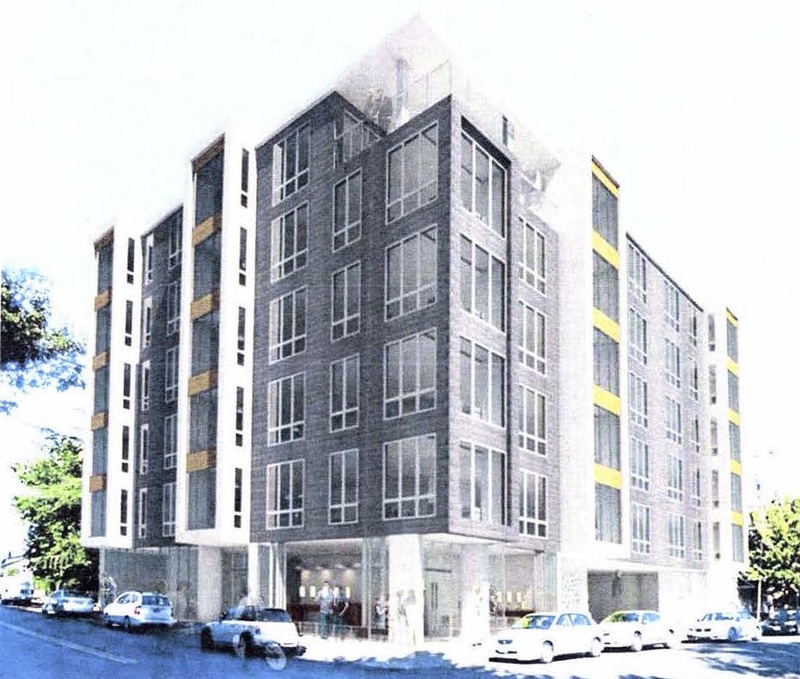 Innovative Housing has been chosen as the developer for an affordable housing project on Pearl Block 26, according to The Oregonian. The quarter block building will include at least 40 units, and could include as many as 64. A groundbreaking ceremony was held for the PSU School of Business Administration by Behnisch Architekten and SRG Partnership. The 143,000 sq ft facility is expected to open in 2017. Amid an apartment building boom, The Oregonian reported that the City’s property tax exemption program for affordable housing had done zero deals in 2015.